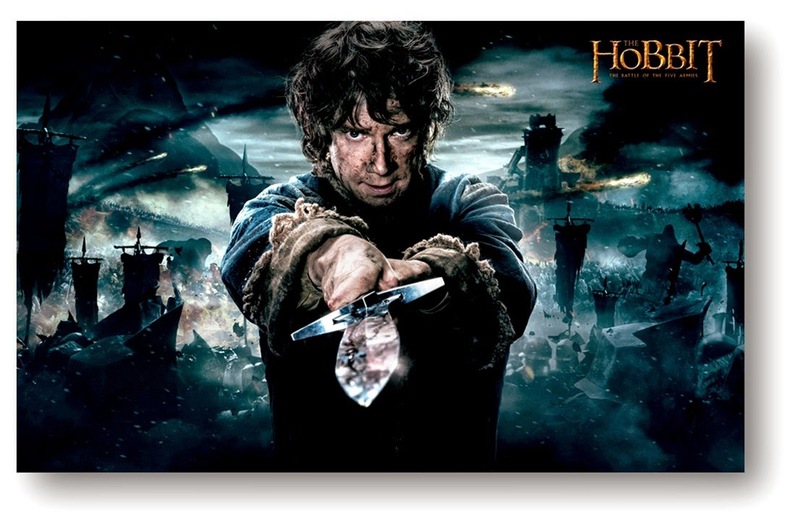 MarketSaw - 3D Movies, Gaming and Technology: THE HOBBIT: THE BATTLE OF THE FIVE ARMIES Eying $1 Billion - Opens To $50m In China! THE HOBBIT: THE BATTLE OF THE FIVE ARMIES Eying $1 Billion - Opens To $50m In China! THE HOBBIT: THE BATTLE OF THE FIVE ARMIES has opened to $49.5m in China which is just about as much as the first Hobbit movie made during it's entire run in the country! Goes to show the recognition that the movie brings now to the Chinese as well as the further development of the theater industry there - especially 3D. With FIVE ARMIES being made in native 3D with world leading 3ality Technica rigs, these box office results underscore what great movie making can achieve. Peter Jackson's finale to the Hobbit trilogy has raked in $866 million worldwide as of now and as China is it's last major market the echos of the release may be enough to push it to the magic billion dollar mark despite being obviously snubbed by the Academy for Oscars this year. The movie only managed to be nominated for Sound Editing. How it is not at least nominated for Visual Effects is beyond me. Will THE BATTLE OF THE FIVE ARMIES hit $1 billion? Will we ever return to Middle-earth again any time soon? I'd dearly love to see some spin offs from these movies - character origins stories, adventures and the like. I doubt the Tolkien estate would allow it, but there would definitely be a huge market for it. Even a bridge movie bringing Legolas together with Strider as described at the end of the movie would be huge. Can't wait to get the extended trilogy versions on Blu-ray! All the behind the scenes action is what I really enjoy in these boxed sets. Stay tuned for further box office updates!